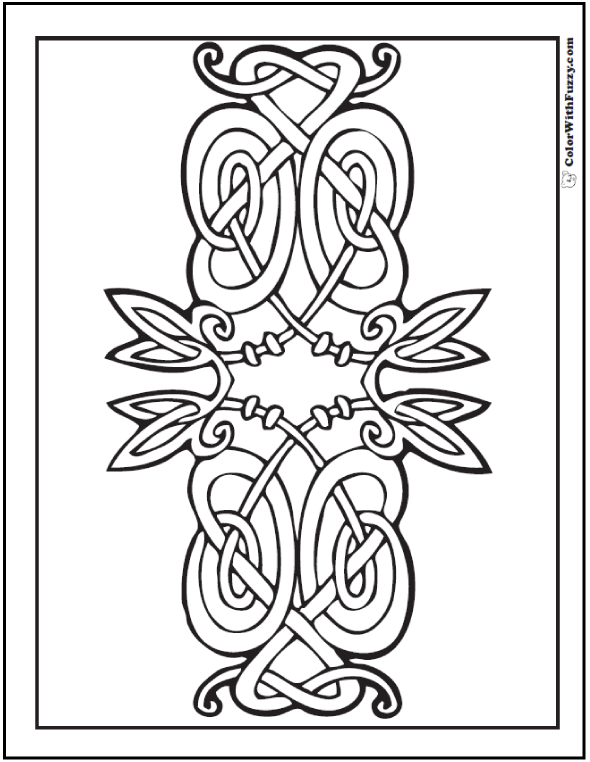 Printable Celtic knot symmetrical Celtic coloring page: Mirror image of swirls, pretzel twist, and Gaelic leaves ending in hearts laced in tendrils. 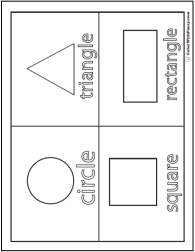 Great for St. Patrick's Day and Irish themes. 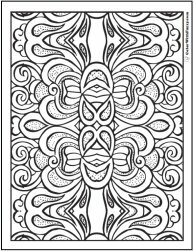 This PDF coloring page prints to 8.5x11 inch paper. 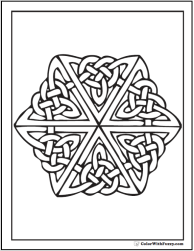 A mirror of symmetry: printable Celtic knot.